Specify the Twitter username of your friend, or even your favorite celebrity, and we will figure out the sleeping pattern of that person. See sample report. 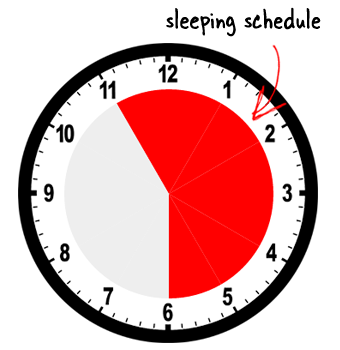 Sleeping Time will fetch the last 1000 tweets of a Twitter user and then determines the approximate sleeping schedule based on the time when he or she is least active on Twitter. There's no rocket science involved but lot of people say that the results are pretty accurate. We only index "public" Twitter profiles and will never post anything to Twitter on your behalf. Know the sleeping schedule of popular Bollywood celebrities. They say tech writers are always glued to the screen. True? Are cricketers and other sports players getting enough sleep? Indian politicians have embraced Twitter but are they really active? Sleeping Time is a project of Digital Inspiration created by Amit Agarwal.